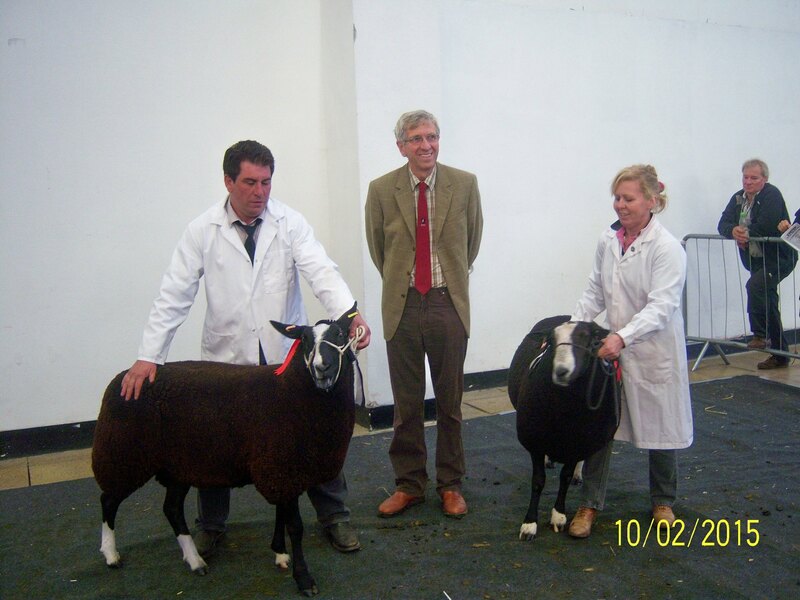 The first sale on behalf of the Zwartbles Sheep Society saw a good entry of sheep put before a large crowd of cautious yet keen buyers, resulting in a selective trade for the best breeders sheep, but a decent clearance for those that were sensibly reserved. Top price came from the “Hatches” flock of Ms J Holman & Mr D Mugridge from East Anstey with their “Brookdene Woody” sired Shearling Ewe that was awarded Reserve Champion in the pre-sale Show and sold for 400gns to P & J Ley of Alverdiscott. Ewe Lambs sold to 300gns for the pick from the “Huish” flock of Russell & Martin Pearse of South Brent who also had a Ram Lamb at 260gns. Ram Lambs peaked at 300gns for WJ Williams of Gwynedd with “Pen Llyn Ceil” selling to Barry Mills of Cheddar. Plenty of MV & Non MV Ewe lambs selling between 120 & 200gns to buyers from throughout the West country and Midlands. Report submitted by Ian Caunter BSc. (Hons) MRICS, Kivells.